Kybella® is an injectable product that is used in order to help individuals get rid of a double chin. This product has really revolutionized the way that cosmetic professionals help people who feel dissatisfied with their double chin. In the past, the only way to deal with a double chin was to use an invasive procedure like liposuction. A person had to seriously consider all of the pros and cons that came from using a surgical procedure in order to get rid of a few pockets of fat under their chin. Now, thanks to Kybella®, a person can get rid of their double chin by getting these injections over a series of treatment sessions. Many individuals have been able to experience the benefits that come from Kybella®. However, when a person uses Kybella® as well as other cosmetic treatments, they can enhance the results. This is especially the case when a person uses BOTOX®. It is very likely that you are familiar with BOTOX®. It is a product that is injected into the facial muscles to treat dynamic wrinkles. Everyone has dynamic wrinkles, no matter how old they are. BOTOX® can be used to make the facial muscles relax, smoothing the skin as a result. When an individual uses Kybella® and BOTOX® together, they’ll enjoy amazing benefits. Perhaps the greatest thing about using these two products together is that you’ll have outstanding, yet subtle results. Because this is not a surgical procedure, there’s no scarring and downtime is minimal. While it takes a bit for the full results of each treatment to be fully realized, the brief wait is well worth it. There are a few things that need to be considered when determining if you are a good candidate for Kybella® and BOTOX®. To find out if you qualify for either treatment or both treatments together, schedule a consultation at ReFresh Aesthetic Center in Whitefish Bay. 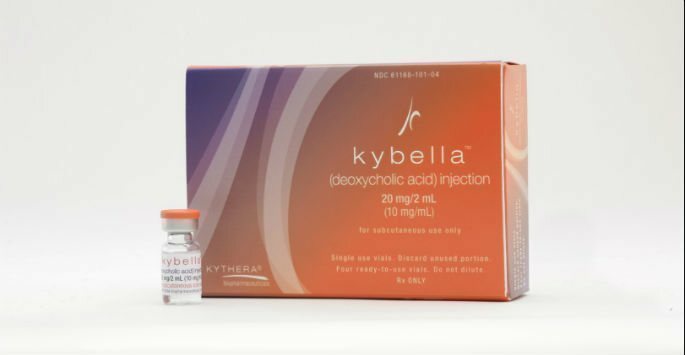 We can discuss how you can enhance your Kybella® results using BOTOX®, as well as the other benefits you can receive with the cosmetic tools we have available. Contact us today to book your appointment!